Got the invitation from Laogao to this local singer whose name is Bell 宇田's live mini concert that was held at Penthouse, The Icon on 27th April. (Hah, another backdated blog post). But the lucky thing among the unlucky things is - I still get to see Bell perform my favourite song of hers live that night. Of course, they save the good stuff at last, right? Bell and friends jamming session. I couldn't recall their names. Bell have this sweet voice that I couldn't get over with. The first I heard her voice was in the movie Paper Moon 纸月亮. 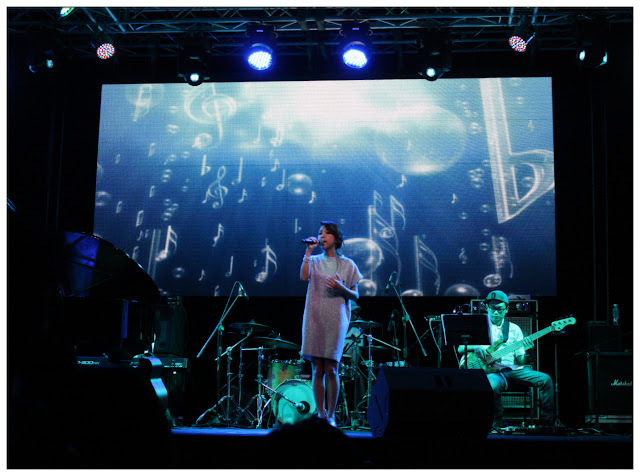 Her voice in the song 带我走 really touched me, and from there I know that Malaysia have this talented singer called Bell 宇田. She's really good at singing, at times I wish that I have voice as sweet as hers. Imagine you talk to everyone in that voice, sure their heart will melt. Nothing too flashy, just her, a band at the background, and her beautiful voice. 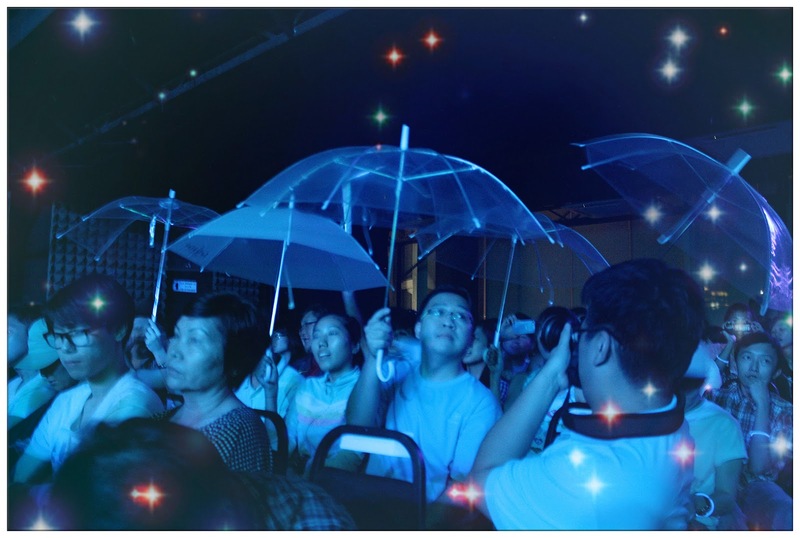 All bring out the umbrella they brought purposely for the song. It really wasn't easy to become a singer in Malaysia, it wasn't easy to be recognise and also not an easy route to release an album. 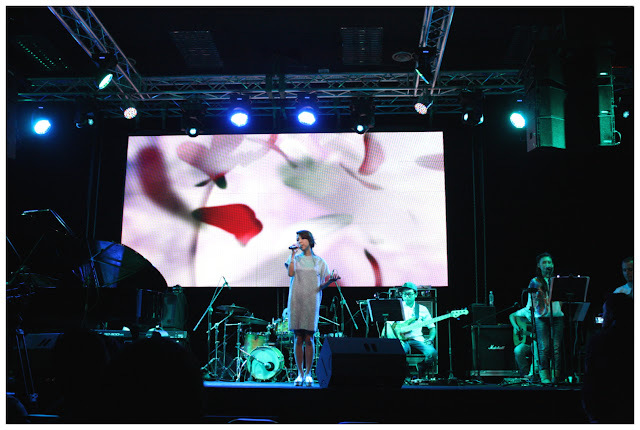 Many have tried, many have failed as well, but I'm glad that Bell did it and Malaysia have a unique and sweet voice like her singing. 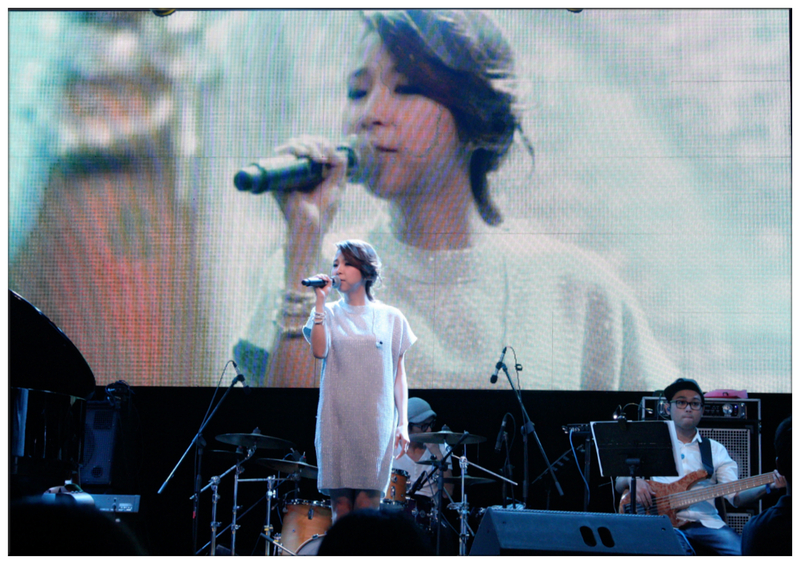 I would never forget how well she sang that night, and how touched I am to have attended the mini concert that she prepared with all the members of her team that have made it a success. Of course, a truthful thank you to Kevin who invited me to this mini concert even though I am not really a mandarin song lover. 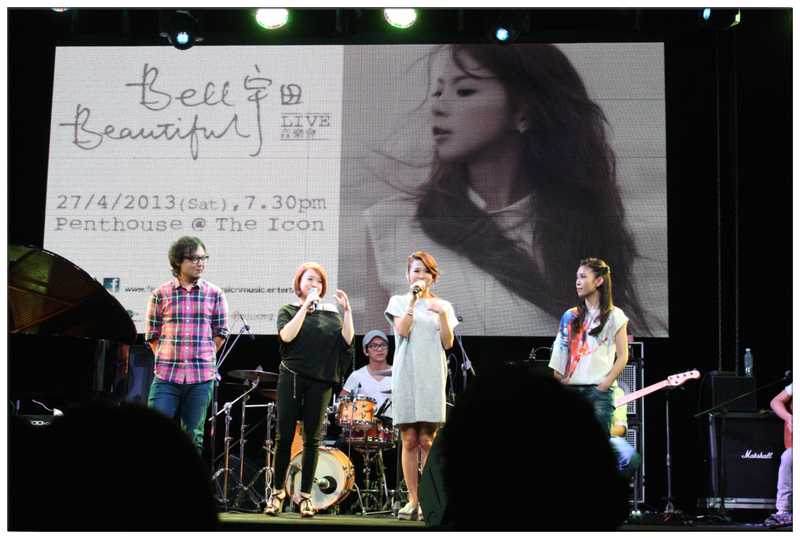 Wish Bell all the best in her singing career, more and more songs from her to be release in the future!